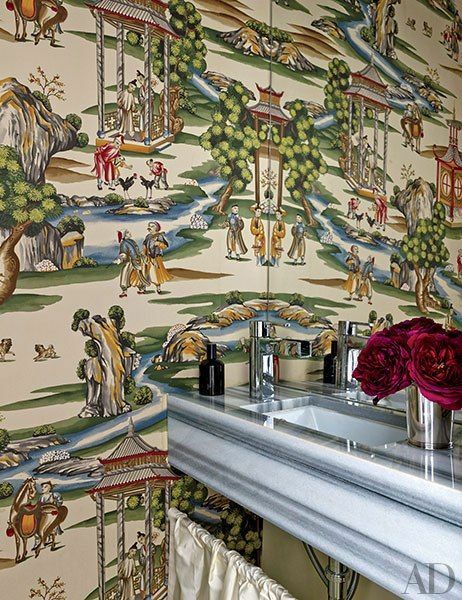 A small bathroom packs big drama with an exuberant Chinoiserie wallpaper. I can't take my eyes off the page. Those aged tones and subject..... so lovely.